The first SHIFT mentoring programme has come to an end and Finnish Art Agency would like to introduce you to the three last participants of the curriculum. Here’s what they have to say. 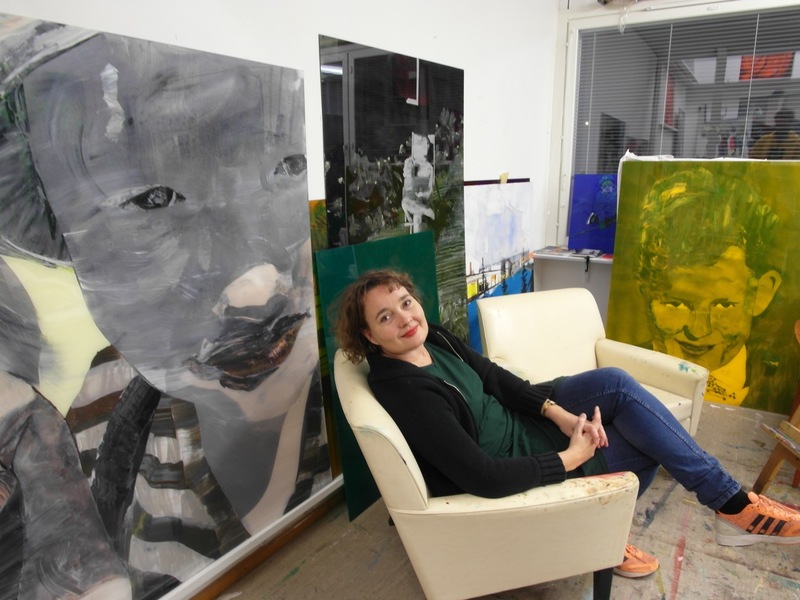 Painter and visual artist Hanna Kanto is currently working on her solo exhibition at Oulu Art Museum (9.4.–29.5.2016). Exhibition comprises paintings and installations influenced by the north. The artist lives and works in Haparanda, Sweden. “Sweden’s art field is much larger than the Finnish one. There’s bigger budgets and all the costs, such as travel expenses, transportations, accommodation during the exhibition construction period and an exhibition fee, are usually covered by the kunshalles, museums and galleries. This creates an atmosphere of appreciation towards the artists’ works” Kanto explains. Coming from the modest Finnish field, Kanto has learned to be even more grateful of the Swedish ways of working. “In addition to this, state and cities are ordering artworks from artists for new or renovated buildings, there are lots of public art projects in Sweden” notes Kanto. Hanna Kanto’s exhibition at Rare Gallery in New York was surprisingly cancelled due to reasons beyond the artist – the gallery suddenly closed its doors. The case is an unfortunate reminder of artists’ weak position in the field. “The experience in New York was sad and harsh, but it was also a learning experience that can be turned into something positive. I had previously taken part in a group exhibition at the gallery in question, but I thought this could never happen. At least I have a good story to tell to the art world! You cannot escape surprises” Kanto laughs. “One of the upcoming exhibitions in 2017 came as a total surprise to me. I believe that constant hard work will give you results and good artwork speaks for itself” painter Erika Adamsson explains. “In SHIFT mentoring programme I was encouraged to update my website, which works as an easy way for artists to give a professional up-to-date image and increase credibility. I’m now also using Instagram to show works in progress and more of the behind-the-scene action of the current projects. It’s interesting to see how my paintings are exposed to an international online audience”. Adamsson also takes part in Finnish art discussions through blogs and other kinds of mediums. Erika Adamsson uses photographs as a source for her paintings but they tend to take different and more abstract forms due to the acrylic surface being used. “The sudden changes inspire me. I enjoy the smell and the materiality of the paint and different colour comparisons, even though sometimes the original subject of the work comes from, for example, a crime scene.” Adamsson describes. “I’m interested in how we detect details, interpret and find new meanings from and for them”. To Adamsson subjects can be political, by emphasising seemingly unimportant details she stresses their importance. For example, in the painting Aulamiehet (2010), an older man with his walker becomes the focus of the painting demonstrating his loneliness. “I’m aware of the difficulty of mediating my own experiences to the audience. That is why I’m constantly asking myself is this interesting enough for others? Is there something universal in these isolated occasions?” states Adamsson. “This might sound like a paradox, but setting long-term goals has made me to stress less about achieving and giving more time and space for the process itself “ visual artist Elina Aho analyses. “I’m grateful for my past working opportunities and experiences, and have learned to ask proper fees for commissioned works. I appreciate my own space and artistic work and try to prioritise my own time. I feel much braver now” Aho rejoices. Elina Aho deals a lot with communal projects and strives for a dialogue between different communities and changing social matters. “Art has an important presence in our everyday life: it takes us outside of our comfort zone, allows us to explore different phenomena and have meaningful conversations with others” Aho explains. In addition to community-based projects, Aho has taken part in various activities and residencies abroad. 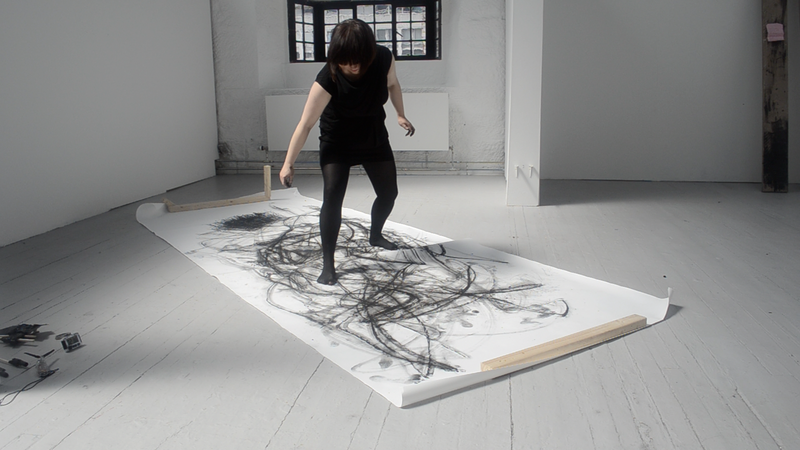 “I get very productive results while working in different international residencies. It gives me new influences, stimuli and creates a whole new ways of being. A new environment sharpens your observations, which later make their way into my work. Cultural life in, for example Glasgow and New York, is very refreshing and vibrant, excellent places to expose your senses to new things and stimulate imagination.” This year Aho will have her next residence in Art Bioarctica, Kilpisjärvi. This is the last part of the series introducing our SHIFT mentoring programme participants in 2015.